The opening of Scarpetta’s new flagship and the introduction of The Seville marks the new hotel’s completion. The James New York – NoMad celebrates being fully open with the opening of Scarpetta’s new flagship location in NoMad, following 10 years on 14thstreet, and the introduction of The Seville social cocktail lounge. The fully renovated property boasts 360 guest rooms, including 28 suites, 2 penthouses and 5,000 square feet of meeting spaces designed by Thomas Juul-Hansen. 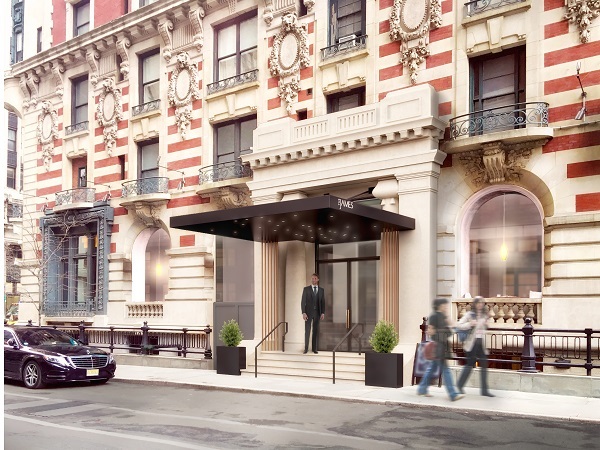 The opening of The James is a key development in the renaissance of the NoMad neighborhood, joining the company of prestigious hotels in the area. The Hotel’s developer GFI Development Company, has played a key role in the rebirth of the area. GFI Development, with CEO Allen Gross leading the charge, took on the development of the Ace Hotel New York in 2006, the first boutique hotel to open in the neighborhood. GFI and Allen Gross also developed The NoMad and now The James as the next hallmark in the renaissance of the NoMad area. With the introduction of these exciting venues The James New York – NoMad offers guests the perfect balance of sanctuary and scene; they can treat themselves to Italian cuisine at Scarpetta, indulge in delicious craft cocktails at The Seville and then retreat to the urban sanctuaries of their hotel rooms where they can unwind with in-room Kundalini yoga by Guru Jagat, calm their minds with meditation by Inscape, or sip on a juice or smoothie through the new in-room dining offerings. The James New York-NoMad is the perfect place to unplug and play and find balance when traveling. Accommodations include unique touches and amenities, such as dream interpretation books, yoga mats and meditation cushions, which guests can use with the in-room Four Bodies Wellness program offerings and eco-friendly Appelles bath amenities. Other in-room features include a curated pantry with a selection of local wines, spirits, and snacks, and as always, complimentary Wi-Fi. Guests have 24-hour access to the fitness center, which features state-of-the art equipment such as the extremely popular Peloton bikes. For in-room dining, guests can order breakfast, lunch or dinner from the menu curated and served by LDV Hospitality, ranging from health-conscious offerings such as the James Veggie Burger or a Chia Seed Parfait to more indulgent items like the Cinnamon-Challah French Toast or on-the-go items like an Energy Smoothie. GFI Development Company, LLC has successfully developed more than $1 billion of residential, office, retail, and hospitality real estate since its inception in 2007. Led by a senior management team, GFI Development Company focuses on opportunistic investments in major metropolitan areas. Denihan is a privately-held, full service hotel management and development company. The Company owns and/or operates boutique hotels in major urban markets throughout the U.S. More details can be found at www.denihan.com. Scarpetta is LDV Hospitality’s Flagship concept. The original Scarpetta opened in New York City’sbustling 14th Street in 2008 to a critically acclaimed 3-star review in the NY Times. Thereafter, Scarpetta Restaurants opened at The Fontainebleau in Miami, The Cosmopolitan in Las Vegas, Gurney’s Resort in Montauk, Gurney’s Resort in Newport, RI, The Rittenhouse Hotel in Philadelphia, and The James New York – NoMad. The Seville is a return to the throwback NY cocktail lounge adapted for today’s social life. A curated old school music program, ranging from 90’s New York hip hop to 60’s classic rock, will energize the room. With live performances and DJ sets by ‘The Ladies of the Seville,’ this is about music and cocktails that transport you to an authentic feel good place. 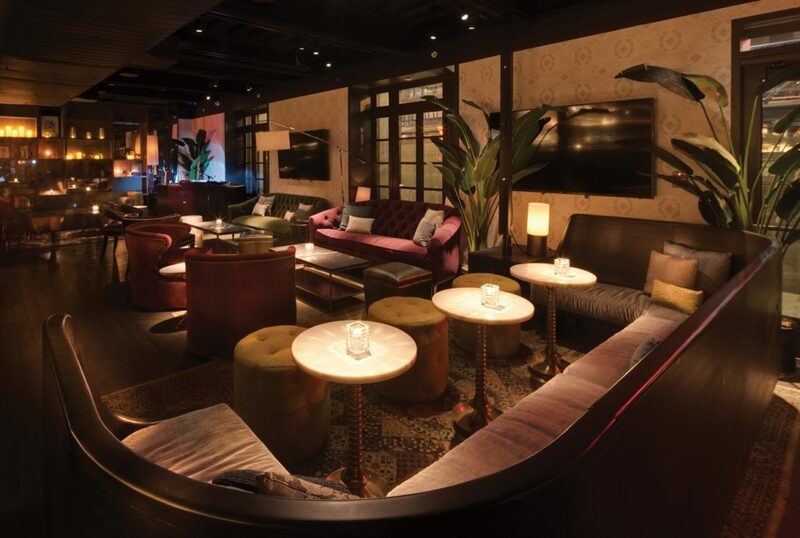 LDV is a boutique hospitality group that creates authentic and unique restaurant and cocktail bar experiences. Inspired by La Dolce Vita, “The Good Life,” founded by John Meadow in 2008. The LDV portfolio spans across eight cities throughout the country with its home in New York City, as well as The Hamptons, Miami, and Las Vegas.